In this initial interactive stage, 100% EVENT acting as consultants and drawing on our vast experience will develop and define the strategic objective of the event, focusing on the creative, technical, operational and financial process ensuring there is an accurate interpretation of the brief. With an in-house creative and design team, 100% EVENT is positioned to produce avant-garde, innovative event concepts that speak to the target audience. Concepts and designs will be outlined. Artwork developed. Project plans with timelines drawn up. Suppliers, location, technical requirements, entertainment, catering and hospitality, safety and security, gifting and manufacturing suggested. 100% EVENT will provide continuous reviews calibrated against the event objectives in order to keep this design phase on target. 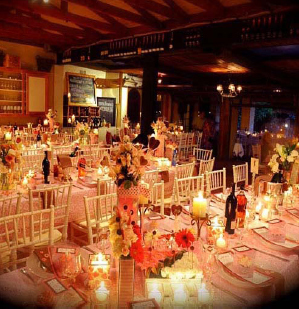 100% EVENT considers planning the most critical component of the event management process. An initial risk assessment will be done, highlighting potential risk areas. Effective systems are then put in place to ensure all pertinent elements of the event are managed accordingly. A project plan with timelines will identify and track all key focus areas for the duration of the project. In addition, budgets are finalised, resources are allocated to the project and roles and responsibilities are defined. Partners are contracted, venues booked, transportation arranged, invitations are sent to guests, menus are finalised, entertainment is booked and the program, together with a safety and security plan, is agreed on. Constant updates are given to you, the client, at regular status meetings, ensuring you are kept informed every step of the way. The 100% EVENT team consisting of an event manager, the full production team, a hospitality and logistics team as well as safety personnel will be on site to bring all of the elements together for a successful event. 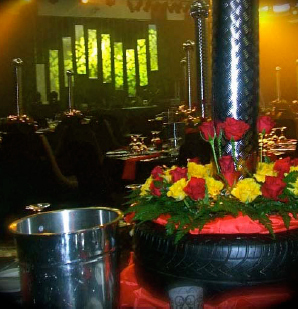 Load-in, set-up, sound checks, rehearsals and adjustments are made to completely satisfy your requirements. This is where our experience and attention to detail come together to deliver a flawless project.